As much as Lassie, Lady and The Tramp are fun to watch, they are actually not the best choice for a child’s pet. When choosing a dog which will be an additional member in your family, make sure to go through the breeds that are considered most suitable for this role. Those parents who wish to be 100 percent certain about their choice can find a list a dogs upon which the best breed can be chosen. Of course, caution is always recommended, and the list that we are about to mention now, does not exclude other breeds of dogs from these rules. 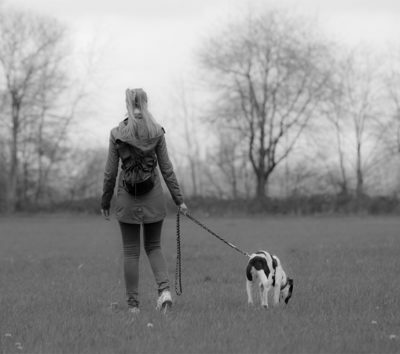 Every dog that feels threatened or badly treated can show signs of aggression during self-defense. First thing’s first, a child must be shown how to treat a dog with respect. Also, never leave them alone together unsupervised, at least while they are not completely acquainted with each other. 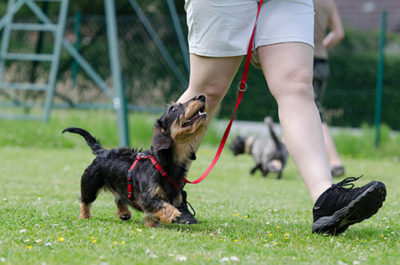 Smaller and medium-sized dogs with a balanced nature are recommended in case you have smaller children. Dogs suitable for family life are: Beagle, Boston terrier, Mops, English bulldog, Bichon, Poodle, Newfoundland dog. As for school-aged children your choice is certainly easier, as children at that age are bigger, stronger and have a better coordination than the younger ones. Also, they are able to understand and follow the instructions regarding pet’s care and understand the necessities of other living beings. 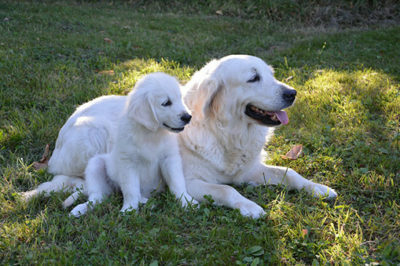 If your children are older, and you are capable of having a bigger dog, there is no reason why you shouldn’t take one. Other criteria should be taken into account such as your own family activities and living schedule. If you happen to have teenagers and enough space to spend quality time with your pet and if you are interested into dog sports such as agility, Border is one of the best choices for you. Other possibilities include: Boxer, Jack Russell Terrier, and of course the inevitable family breeds such as: the Golden retriever, Labrador and Irish setter. 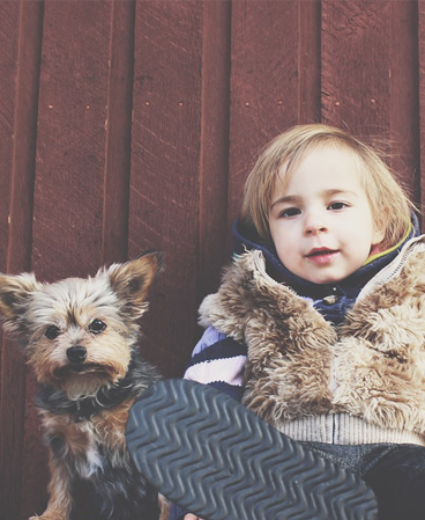 Finally, we will remind you about one of the most commonly made mistakes when choosing a dog for a child. Never judge by the dog’s exterior, because even the smallest and the sweetest looking ones can be of a very nasty nature, while a calm, friendly dog coming from an Asylum can be a much better friend! Be as it may, give this topic a good thought and take into account all the factors during this choice, so you can magnify your family the best possible way. Previous article Mops, Pug, Carlin- A Pretty Dog Which Snores And Conquers The World! Next article A Dog And A Cat In The Same Home: What If They Don’t Get Along?